Jerry Cline Tennis Center - Albuquerque, N.M. PHOTOS - Check back soon! 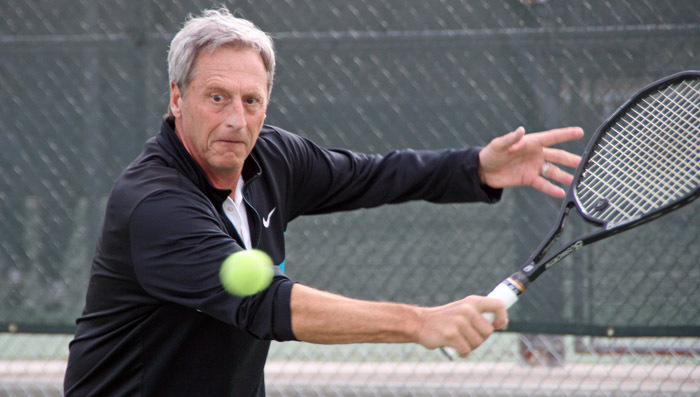 Five new title winners emerged victorious in Albuquerque, N.M. in early December, as the USTA Southwest Super Senior League Championships concluded a three-day celebration of 60-and-up team tennis, held at the Jerry Cline Tennis Center in Albuquerque. Central Arizona (Phoenix-area) squads claimed four of the five NTRP combo division championships in Albuquerque, dominating the event from start to finish, yielding only one other title - the men's 7.0 division to a squad from Northern Arizona (Sedona). In women's 7.0, the Arizona Suns, playing out of the Phoenix Tennis Center and captained by Teresa Goettl ran roughshod over the division. The team went a perfect 5-0 in Albuquerque, winning 11 of 15 matches. The team finished a perfect 13-0 on the year including their local play. Northern Arizona (Prescott) finished second with a 4-1 record. In women's 8.0, Phoenix's team playing out of Desert Ridge, and captained by Mary Ann Mitcham, swept all four team matches to easily outdistance second place Northern New Mexico (Killin). The Phoenix-area team won 10 of their 12 team matches on the weekend. In men's 7.0, Northern Arizona's squad from Sedona (right), playing out of Poco Diablo Resort and captained by Bruce Ulloch, clinched the title. The NAZ squad faced a last-day tussle with Northern New Mexico (Kubas) to decide the division. The NAZ gang saved their best for last, sweeping NNM 3-0 on the final day in a battle of previously unbeaten teams. In men's 8.0, Central Arizona's team captained by John Radcliff and playing out of Oakwood Country Club, put up five team victories, including a pivotal 3-0 victory on the final day against a wildcard team from Northern New Mexico to give them some breathing room. Coming into the final day, three teams were separated by a single line. Northern New Mexico finished second, while Northern New Mexico's wildcard team finished in third place. The men's 9.0 division was just a two-team field with Central Arizona (Ray Price - Gold Key Country Club) and Southern Arizona (John Davis - Tuscon Racquet Club) as competitors. CAZ swept both matches 3-0 on the opening day, but the underdog squad pulled out a victory today with the aid of a line 3 default and a tough victory at No. 1 doublles. Still, the CAZ team moves on as the Southwest automatic qualifier for nationals. Good luck to all of our advancing teams! 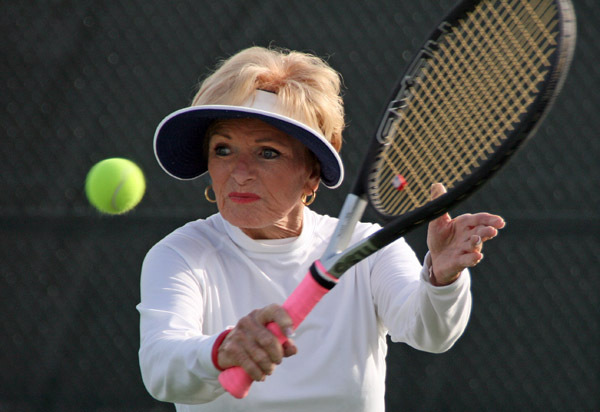 The Super Senior League Championships is the Southwest Section's regional team tennis tournament for players 60 years old and older. Teams advance through their local leagues and to the Southwest tournament by virtue of winning those local leagues. 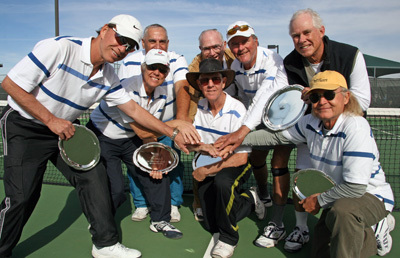 Winning Southwest teams then have the opportunity to advance to the 2010 USTA Super Senior League National Championships next spring at the Surprise Tennis & Racquet Complex in the spring of 2011. 6.0 and 8.0 teams National Championships events are April 15-17, 2011 while 7.0 and 9.0 teams will play April 29- May 1, 2011. 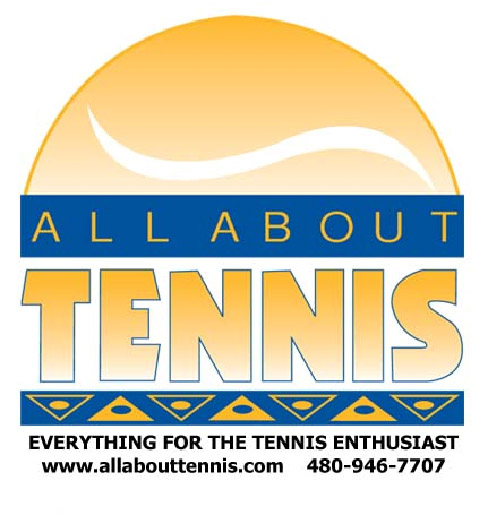 Special thanks goes out to USTA Southwest League Sponsor All About Tennis, the Southwest's largest retail tennis store. Please support All About Tennis, as they are supporting the USTA Southwest league program. A special thank you also goes out to Dole Fruits and Clif Bar, who generously provided us with player snacks for the Super Senior League Championships. We and our players most definitely appreciated it! One last thanks goes to the Jerry Cline Tennis Center and the Sheraton Hotel in Albuquerque. We love working with you guys!